Newest version. 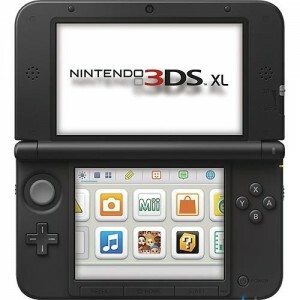 Walmart has a Nintendo 3DS XL Console with Choice of Game Sale $209.00, Free in store pickup or Free Shipping. Rated 4.8 out of 5. Includes the console, battery and battery cover, AC Adapter. The top screen of the Nintendo 3DS XL system is 90% larger than that of the original Nintendo 3DS, at 4.88 inches. It's the largest screen on a Nintendo handheld to date plus longer 6.5 hours of battery life.